If you are planning to buy a RO water purifier then you may have stumble on many water purifiers having similar or partially similar features. And the things just go worse when you get confused between two RO water purifiers of the same brand having similar features. Kent Supreme and Kent Grand Plus these are the two which includes in such category. First of all you are not the only one who gets confused between these two water purifiers. As there are many similarities between these two but there are some differences as well. And those differences could be a game changer. There is not a big difference in the design and build quality. Also there not a considerable difference in the filters and purification. The major difference is in the water tank. At the end of this article you will know if you should you go for Kent Grand Plus or Kent supreme. In this article I am going to explain everything about these two water purifiers. So let’s begin. 2.1 What are the similarities? 2.2 What what’s the difference? 3.1 What are the similarities? 4.1 What are the similarities? First lets look at the design and build of these two water purifiers. Both water purifiers are made from Food grade plastic which is non-toxic and durable as well. Both the water purifiers have transparent cover on their filters. The weight of Kent Supreme is slightly more than Kent Grand Plus and there is also a slight difference in the sizes of both water purifiers. Both the water purifiers have same water purification filters. 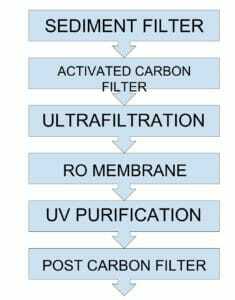 Kent supreme have sediment filter, Silver impregnated activated carbon filter, UF and RO membrane and post carbon filter whereas Kent Grand Plus has sediment filter, activated carbon filter UF and RO membrane and post carbon filter. So both the water purifier has 5 filters for the purification. Now let’s have a look at the working of each filter. The sediment filter as the name suggests removes sediments, Volatile Organic Compounds (VOCs) and other visible impurities from the water. This filter basically removes harmful chlorine and fluorine buy products from the water. It also removes bad taste and odor causing contaminants from the water. UF stands for Ultra filtration. The UF membrane removes visible impurities like sand, mud and dust from the water. RO membrane is consist of very minute pores of 0.0001 microns. The water is passed with A grade force through this membrane. This membrane allows water molecules only to pass through it and blocks harmful dissolved solids and heavy metals like Arsenic, Lead and Mercury. Here as you can see Kent Supreme has silver impregnated activated carbon filter, whereas Kent Grand Plus has unmodified activated carbon filter. Basically the working of both filters is the same that is removing chlorine, volatile organic compound (VOCs) and bad taste and odor causing contaminants from the water. But the Silver impregnated activated carbon filter has antibacterial characteristics. Overall there is not a major difference in the purification filters of this to water purifiers. One of the main difference between Kent Supreme and Kent Grand Plus his that, Kent Grand Plus comes with a TDS controller whereas Kent Supreme does not have a TDS controller. If you have a low TDS water then you should consider having TDS controller. Because RO water purifier lowers the TDS of the water so if you already have water with lower TDS level then when such water gets purified with RO water purifier then some essential minerals also get removed from the water and such water is considered as healthy. The second difference in the purification of these two water purifier is that can Supreme has 0% water wastage RO water purifier Technology whereas Kent Grand Plus comes with a normal RO water purification Technology. But it doesn’t mean that Kent Supreme does not produce any waste water, it just have an inbuilt separate water storage tank to store waste water. So as the waste water gets collected, you can use it for other purposes like mopping, washing car etc. Know how to reuse waste water coming out from RO water purifier here. So if you live in the place where there is water shortage then you should go for Kent supreme. The main difference between the the Kent supreme and the Kent Grand Plus is in the water storage capacity. Kent Supreme has total water storage capacity of 18 litres. Here I am saying the “Total” water storage capacity because Kent Supreme comes with Dual water storage tanks of similar water storage capacities that is 9 litres. One water storage tank is for pure water whereas the other is for rejected water. So basically when the water is purified through Kent Supreme water purifier, the purified water gets stored in its purified water storage container whereas the wastewater is stored in the waste water storage tank. So that you can use the waste water for other purposes like mopping, cleaning car and for plants. Kent Grand Plus does not have dual water storage tank. So it will collect only purified water and not waste water. The waste water will be excreted out through a pipe. Though you can collect this water in a separate container. The alert system of both the water purifier is same. Both water purifier comes with a filter change alarm and the UV fail alarm which will notify you when is the time for changing the filter and the UV bulb with its two LED indicators. So there is not a big difference in the design and build of this to water purifier. 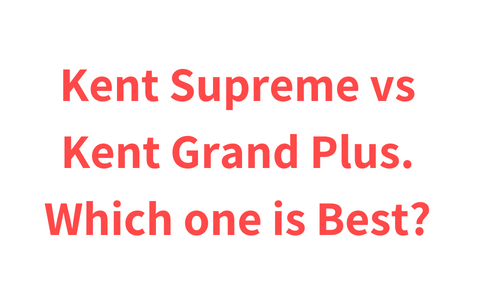 Though Kent Supreme is slightly bigger and heavier than Kent Grand Plus. So if you are short in space then you should go for Kent Grand Plus. Also there is not a major difference in the purification of those two water purifiers. Though Kent Supreme comes with silver impregnated activated carbon filter whereas Kent Grand Plus comes with unmodified activated carbon filter. Which is the normal activated carbon filter and silver impregnated activated carbon is obviously advanced activated filter than the normal one. So if you are too concerned about purification then you should go for Kent Supreme. The major difference we can in these two water purifiers is in the water storage capacity. The Kent Supreme water purifier comes with a total water storage capacity of 18 litre whereas Kent Grand Plus comes with 8 Litres water storage capacity. Kent Supreme basically has TWO water storage tank of similar capacities that is 9 litres. It stores purified water in one water storage tank and waste water in the other water storage tank, so that you can use such wastewater for other purposes like mopping, cleaning car and for plants. In Kent Grand Plus you will not get such luxury. Though you can easily store the waste water coming out from Kent Grand Plus in separate container but it would be quite inconvenient. So basically there is not a very major difference in these two water purifiers the only difference in these two water purifiers is of convenience. So if you want convenient water purifier then you should go for Kent supreme. It also has advanced activated carbon filter than Kent Grand Plus so Kent supreme has a slight edge in water purification too. If you already have a low TDS water then you should definitely go for Kent Grand Plus as it has TDS controller. How often do I need to change the filter of these two water purifier? Changing the filters after 12 months or 1 year is recommended. When should I change the RO membrane of these to water purifiers? Anywhere between 1 to 3 years. It really depending depends upon how much water is purified everyday and what’s the TDS of the water is purifies. How will I know when should I change the filter of these water purifiers? These water purifiers comes with RO filter change alarm which will make beep sound when the filter is going to expire. What is the meaning of RO, UV, UF and TDS controller? UV stands for Ultra-Violet Filtration. It is a water purification technology which uses ultraviolet rays for deactivating harmful contaminants like bacteria and viruses from the water. Can I use this water purifier for the purification of bore well water? Bore well water is usually high TDS water that is it contains dissolved salt and solids in it. These water purifier have RO membrane which removes search dissolved solids and salts from the water making it healthy for drinking. LG water purifier vs Kent Water Purifier. Which one is the Better?